So, What Are Your Options to Address Hair Loss? Well, there is no magical cure for baldness, but there are the tried and true methods such as those most often prescribed by doctors and those that are available over the counter. These products can help to reduce or slow the progression down, and some products have even reversed course where the user has actually re-grown hair. Hair Restoration Surgery is just that – surgery. Although there are newer techniques being made available, hair restoration surgery, for the most part, is an invasive process. It can also be time-consuming, and it can be costly. If you are considering this remedy, you would have to do further research on this method as it is only a casual mention here for the purpose of identifying the option available to you. Propecia is an oral drug prescribed by doctors which helps reduce and control the effects of DHT on a man’s scalp. There are many articles about the use of Propecia and the potential and negative side-effects from taking the drug. And, before asking your doctor about Propecia, you’d be wise to do your due diligence, do some research yourself, weigh the pros and cons, and decide whether you wish to take the risks associated with its use. Minoxidil, on the other hand, is the major ingredient in many topical solution products available now to help reduce hair loss and re-grow hair. 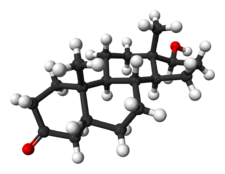 It is widely used, and it’s now even being used by women (Women’s formula is 2%). Not all who use it, however, see results as this product does not work for everyone. Although there are other solutions becoming available, Minoxidil is the only one that is currently FDA approved and this ingredient also has clinical studies to back its claim of re-growing hair. Low-Level Light Therapy (LLLT) is a newer technological advance being used as a hair loss remedy. There are quite a few Hair Laser products now out on the market, and many of these products also have clinical studies to back up their claims to re-grow hair. Seeing that each individual is different and some things are more important to some and not so much to others, it all comes down to personal choice. Probably, the most important things to consider is your comfort level and whether you will be consistent and persistent in your efforts. If you’re going to consider the surgical route, obviously, your best bet is to consult with a specialist for hair restoration technique, ask about duration, recuperation, and any type of follow-up care. As for Propecia, it’s taken as prescribed by your doctor. Nothing else needs to be done. But, for the last two methods, whether using Minoxidil or using LLLT, these involve commitment. You have to keep to your schedule. What Happens When I Use Minoxidil or LLLT? Minoxidil is used daily, up to twice per day. Oftentimes, people will experience hair loss before hair re-growth. This happens because the solution is allowing the weaker hairs to fall out before growing back in stronger and thicker. Results from topical solutions are usually seen within 6 months of consistent use. The LLLT can be used every other day, and many are used up to 20 to 30 minutes per session. LLLT can also cause some hair shedding when weaker hairs fall out before stimulating the follicle to produce a thicker strand of hair. This therapy can take up to a year before the user experiences thicker locks of hair. As mentioned, these methods are ongoing. If you were to begin either of these two methods and then stopped, your hair follicles would eventually shrink and revert back to being weak. You would then begin losing the hair you grew – once again. One other major piece of information that is key to any of these methods is this: the earlier you start using preventative methods to slow and hopefully reverse hair loss, the better. 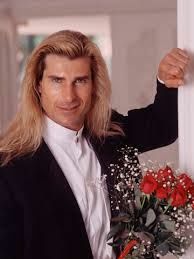 You probably shouldn’t wait until your mid-50’s, after you’ve lost a major portion of hair, begin to use some of these products, and expect that you’ll be looking like Fabio anytime soon. You do have to be realistic. Minoxidil is the most effective and FDA approved ingredient that has been clinically proven to re-grow hair. So, basically, you only need to look for products that contain that one basic ingredient. Seeing that just about every one of these products, listed below, has the exact same ingredients, this section will address them all combined. There is very little to compare other than the name on the box, the color of the box, whether it’s applicator is an eye dropper or a spray nozzle, and how many bottles each box has inside. The only thing that would be left to compare is price, and even then, that can’t be done in a static post written at one point in time because prices change constantly. If the price is an issue, however, or if you want to see what may be on sale, just check the ads listed on this page. The next best thing to do is just click the menu above. In the menu above, you’ll see: Best Sellers, Hot New Releases, Most Wished For, and Best Gifts. Those lists are automatically updated daily, and those are convenient links you can use to check a price on any given day or to find out what’s selling now, what’s hot, what people want, and what are some of the best gift ideas to give someone who is experiencing hair loss. What Exactly Does Minoxidil Do? Minoxidil is a vasodilator – meaning, it helps to open pores and stimulate blood vessels close to the surface of your scalp. In addition, it’s an effective DHT Blocker and helps to reduce the negative effects of DHT which naturally occurs in your scalp. The basic instructions are to use this product twice a day, measure it out in the morning, and lightly massage the solution into your scalp. Let it dry, and go on to your daily activities. Repeat it later on in the evening. As mentioned earlier, this is an ongoing process, and users “should” see results in 4 to 6 months. If you don’t see any results by the end of 6 months, then you may want to re-think your regimen or go back to ask yourself some serious questions. Some of the basic questions you may ask include: Do you shampoo daily? Are you using a “harsh” shampoo or is it one formulated specifically for hair loss? Do you use lots of hair product that is blocking your pores? Are you using the Minoxidil product before or after you apply hair products? Perhaps, the hair loss is not a result of high DHT or hereditary hair loss. Perhaps, it’s something else. When was the last time you went to your doctor? Could you have an illness? Could you have a vitamin deficiency? Are you getting enough protein in your diet? Are you under a lot of stress? Are you getting enough sleep? In summary, there are a number of reasons why people lose their hair – which is why you need to ask yourself these questions especially if the product isn’t working after 6 months of consistent and persistent use. If you have decided or settled on the cause of androgenic hair loss, or “Male Pattern Baldness,” then it’s time to choose one of these products, below. 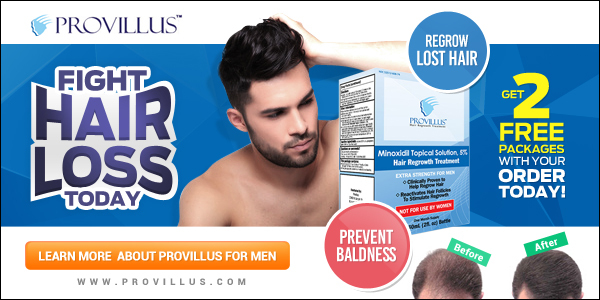 Provillus – Provillus has the 5% Minoxidil ingredient that re-grows hair and you can order direct from the manufacturer. 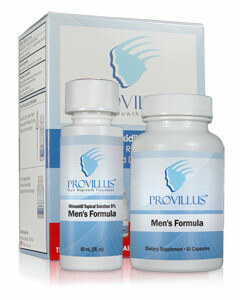 Provillus also has vitamins available for vitamin deficiency or to just help boost natural hair production. This company also offers a convenient service for busy people who don’t have the time or the inclination to stop and pick up new supplies. Your entire order can be auto-shipped on a monthly schedule for convenience. Nioxin – Basic Minoxidil Ingredients, no additives. Eye Dropper Applicator. Rogaine – Basic Minoxidil Ingredients, no additives. Eye Dropper Applicator. Regenepure – Basic Minoxidil Ingredients, no additives. Spray Nozzle Applicator. Equate – Generic Store Brand – Basic Minoxidil Ingredients, no additives. Eye Dropper Applicator. Basic Care – Basic Minoxidil Ingredients, no additives. Eye Dropper Applicator. Good Sense – Basic Minoxidil Ingredients, no additives. Eye Dropper Applicator. Kirkland – Basic Minoxidil Ingredients, no additives. Eye Dropper Applicator. Actavis – Basic Minoxidil Ingredients, no additives. Eye Dropper Applicator. Member’s Mark – Basic Minoxidil Ingredients, no additives. Eye Dropper Applicator. Walgreens – Basic Minoxidil Ingredients, no additives. Eye Dropper Applicator. As mentioned, some of these products come in liquid serum or foam, and a few have different applicators. Many of the Generic Store Brands are made by the same company for different stores – just with different names and box designs. But, one difference is the amount they package. When and if you do try to compare, some have 3 bottles for a 3 month supply, and some have 4 or 6 bottles for 4 or 6 months supply, respectively. So, if you’re comparing prices, make sure you figure the monthly cost instead of the total cost. There are numerous new hair laser products available now that claim to re-grow hair. Many of these are FDA Cleared – meaning that the product has to have reached at least the same level of performance as another similar product approved prior. So, while there is absolutely no guarantee that these products will work for you, just remember, there is also no guarantee that Minoxidil will work either. None guarantee 100% effectiveness. Low-Level Laser Light Technology treats hair loss and hair thinning for both men and women by stimulating hair follicles. The new Hair growth laser products can be used alone, and they can even be used in addition to using either Propecia or Minoxidil products. There is nothing showing up in my research, at the time of this writing, to show that there is any reason prohibiting the use of two or three methods combined. So, that’s something to think about if you want to increase your odds of re-growing your hair. These products have been rendered safe, are easy to use, and they do not involve drugs. With that stated, however, they do not work on already dead hair follicles. So, my previous statement about being realistic still applies. You cannot wait until your hair follicles have totally shrunken to the point of “no return” and expect results with any of these methods. Has been Clinically Proven to re-grow hair. Fast – Simple and Easy to use. The comb should be used 3 times a week for 8 minutes, and results are visible as early as 4 to 6 months of consistent use. Thicker, Fuller and Healthier Hair is achieved with this low-level laser light therapy by stimulating hair follicles. Can be used in conjunction with Minoxidil topically applied products and treatments for hair loss and hair growth efforts. It has 12 innovative low-level lasers to stimulate hair follicles in the user’s scalp by increasing energy production and reversing miniaturization. The Laser Light Comb is lightweight and affordable. It is also cordless and comes with a charging base, an A/C universal adapter, instruction manual, and a warranty card. It can be used for periodic hair therapy sessions. It makes a beeping sound every 4 seconds to notify the user to move on to the next spot. It has an auto-shutoff feature after 8 minutes. There is also a Money-Back Guarantee. If you are not satisfied with this product, you can return it. The product does NOT work on those with severe hair loss (bald) and/or dead follicles. Its use is recommended for “moderate” hair loss only. The majority of users state that this product works, and some have stated that it worked faster than the stated time period. There are also some people who have used this product in addition to their Rogaine or other Minoxidil Topical Solution product. Some of the negative reviews have complained about the inconvenience of its use. You do have to sit still and keep stroking your hair for the recommended period of time. If you want an update to see if more reviews have been added, or to check out the latest prices, please click on the product link. The product has 9 lasers. Can be used in the U.S. and Internationally with 100/240 volt adapter. The product has an embedded lithium rechargeable battery. Charges on a base similar to a phone base cradle when needed. Cradle plugs into a USB power source. Each charge can last up to 24 hours of use. Red Indicator light for low battery. Can be used in conjunction with Minoxidil Topical Applied Hair Solutions to re-grow hair. The product has a 2-year Warranty. There were only 4 reviews at the time of this writing, and one stated that her unit broke. The others were very happy with this purchase. If you want an update to see if more reviews have been added, or to check out the latest prices, please click on the product link. This company offers various versions of this product under this brand and at various price points. The basic version is the Capillus82, and it has 82 laser diodes. Other models include the Capillus202, the CapillusPro, and a few others with the same basic flexible cap, but with additional supplies such as root stimulator, shampoo, and conditioner, etc. It seems the Reviews have been updated recently, and are now only reflecting one user who has scored this product negatively. However, the reply to this review is a reminder that it can take up to a year for LLLT to work and re-grow hair. If you want an update to see if more reviews have been added, or to check out the latest prices for this entire line, please click on the product link. This product is very simplistic in design, and some have even stated that this product makes you look like some sort of Robocop. But, who cares, really? It’s yet another discreet way to get your laser treatment in the privacy of your own home. And, with the built-in earphones, you can even listen to music for the 20 minute recommended treatment. This product also has a safety feature in that it turns itself to “pause,” when/if it’s removed from your head while it’s turned on. The lasers go off automatically. It’s also lightweight, and, according to many people who have used it, feel absolutely no pain or discomfort. For more information, you can click here to read my iGrow Laser Hair Growth Helmet Product Review. Currently, there are no reviews showing for this product. As mentioned previously, growing hair is not an overnight process. It can take some time, sometimes up to a year to see results from LLLT. If you want an update to see if any reviews have been added, or to check out the latest prices, please click on the product link. This company also offers various versions of their helmet, similar to the iGrow competitor. You can check out the various versions here along with some of the newer related products they have recently offered. These include their own versions of a root stimulator but made with all natural ingredients along with shampoos, and more. The reviews are stellar for this product. There are quite a few people reporting in who are completely happy with this purchase, and they are re-growing their hair. If you want an update to see if more reviews have been added and have remained positive, or to check out the latest prices, please click on the product links below. If you prefer to go direct to the U.S. based company, watch more videos, and read more testimonials, here’s their direct link: iRestoreLaser.com. In the meantime, please check back for my iRestore Laser Hair Growth System Product Review (coming soon). This product is similar to the others, is also FDA Cleared, and is wireless. It has 80 diodes and boasts a 97% effective rate from its users. The Instructions are to use this product 3 or 4 times a week and a maximum of 20 to 25 minutes each time. It comes with a USB cord, so you can sit at your computer for a bit while getting your laser therapy. This product also works to reverse the miniaturization of hair follicles first before your hair can begin to re-grow. 1. It Increases blood flow to the scalp and hair follicles. 2. It stimulates microcirculation, improves cellular metabolism and protein synthesis. 3. It reduces the effects of protein blocking enzymes, promoting thickness and density. Although there are some reviewers who have complained about the size and fit of this product, the overall message is positive. Many have stated that it works and they are re-growing their hair. Some were purchased for others as a gift, and they too are reporting positive results. If you want an update to see if more reviews have been added, or to check out the latest prices, please click on the product link. This helmet is also FDA Cleared, has 272 diodes, and also works with a rechargeable battery that allows you to do whatever you wish without being tethered in one spot. You may clip it to your belt or put it in your pocket while wearing. It weighs less than half a pound, and it has an auto-shut off as well. The recommended time is between 15 and 30 minutes every other day. The majority of reviews state that it does work, and it’s much easier to use than constantly stroking your hair with a laser comb. Many also like the price when compared to competitor’s hair growth laser products. But, negative reviews also state that this product is inflexible, doesn’t fit well, and it’s uncomfortable. One woman stated it feels like a hard bowl sitting on top of your head, and a few returned it for that reason. If you want an update to see if more reviews have been added, or to check out the latest prices, please click on the product link. This product has a twist! The iHelmet has 200 diodes, but they can be controlled into specific focus areas to increase effectiveness on problem areas. In addition – “there’s an App for that!” Yes, this product is controlled by an app on your phone which allows you to control it or obtain information. It also reminds you when to use it, and provides other data to you as well. Currently, or rather, at the time of this writing, there are no reviews left for this product. As always, if you want an update to see if any reviews have been added, or to check out the latest prices, please click on the product link. This strong competitor is, of course, also FDA Cleared and has 272 diodes. It also has a rechargeable battery with a leather clip-on case that you clip to your belt while wearing it to allow you the freedom to move around. This product also gives its measurements: The width of 6.69 inches, length 7.48 inch, depth 3.15 inch. The reviews are stellar. At the time of this writing, this product is rated the highest among all the Hair Laser Helmets, but while many are extremely positive about this product, some do remind those who are considering this purchase that it “does take time.” One person stated he was ready to give up after a year but was persuaded to keep at it. Now, he’s glad he did, as the product is working as it claims. While there is no 100% guaranteed way to stop hair loss and to re-grow hair, there are effective ways to help reduce and control shedding hair, and there are time-tested methods that do help to re-grow hair. There are the time-tested methods and holistic approaches that include: Propecia, the topical solution Minoxidil, massage techniques, and even improving your diet by increasing protein intake with specific foods, supplements, or shakes. Obviously, the first two are drugs that are either taken orally or absorbed through your skin. But, while those may work, there are some people who just want a more natural way to induce hair growth. And, since we now have technological advances that allow for portable laser treatments, these are very viable ways to go about re-growing your hair. They are non-surgical and safe to use. These newer methods are clinically proven, involve no drugs either orally or topically applied, and many people do grow or thicken their thin hair using only the laser. The best part of the laser helmets is that they are pretty convenient to use. You can use these devices in the privacy of your home, or discreetly under a ball type of cap. I think the best part is that the use of laser helmets do not prohibit you from using the other methods as well. So, if you are losing your hair, have lost your hair, but not to the point where there are no follicles left, these methods discussed above are all pretty safe and effective ways to go about growing back your beautiful hair without going through a hair-transplant procedure. So, What’s The Best Hair Loss and Hair Re-Growth Product? Well, the best option is really determined by the one who is actually suffering hair loss. Personal and subjective questions need to be asked and answered including whether a commitment can be made to use the product consistently. Once that determination is made, and you have decided to re-grow your hair, you may choose a Minoxidil product, you may choose a laser helmet, or you may even choose both depending on how aggressive you wish to remedy your hair loss. Seeing that one does not affect the other, it’s pretty easy to see that by using both methods, you’re increasing your odds of re-growing your hair. In addition to these commercially available products that re-grow hair, there are also a number of natural treatments that you can do to help you re-grow your hair. For more info, come back to check out my other post – coming soon! I hope this was helpful, educational and convenient for you. If you wish any further info on any products, and/or would like further research, please do drop me a comment or question below. Also, please do bookmark this site. I look forward to hearing from you, and thank you for your time spent here today! Disclaimer: Please know that I am not, in any way, a medical professional or a nutritionist. My role, for all intents and purposes, is to do as much research as possible and write about my findings in this post. If you are at all uncertain or have questions about which products you may wish to purchase, or what supplements you may take to help re-grow hair, or what side-effects any of these products may cause, please speak with your medical professional.